Welcome to the official web site of the Henley Youth Centre! Come to the centre to play pool, table tennis or table football or simply walk in for a chat. There are computers with Internet access and there is a Wi-Fi network. We have regular club nights, live bands and special events. In cooperation with the organisers of the Rewind Festival, the Henley Youth Centre auctioned items that were very kindly donated by some really famous people! The results of the auction will be announced soon. All proceeds will go to the Henley Youth Centre. Rewind, the biggest 1980s music festival in the world, took place at Temple Island Meadows between August 17th – 19th. Check out some of the items that were auctioned. You can donate money to the Henley Youth Centre by using JustTextGiving. Simply text SHYC33 plus the amount you want to donate, to 70070. So your text might look like this: ‘SHYC33 £5‘. Visit the fundraising section for more information about our fundraising activities. 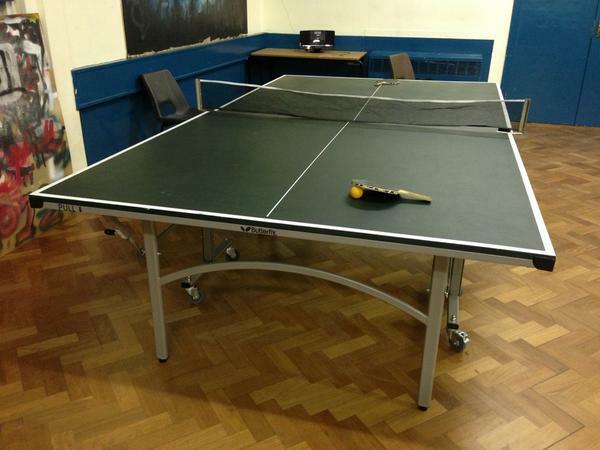 The Henley Youth Club is open on Wednesdays and Thursdays from 7pm to 9pm. The Henley Youth Centre, a registered charity, provides opportunities for young people, aged 13 to 19, to participate in a wide range of activities and offers facilities for young people in and around Henley. The centre, which is no longer receiving funds from the Oxfordshire County Council, is run by Steve Curran, an experienced Oxfordshire County Council youth worker, who has been involved with the centre for many years. He is assisted by a number of volunteers. The centre is managed by a group of trustees, who are all local Henley residents. If you would like to support us, either by fundraising or volunteering, please get in touch.